Authoritarian parenting is a parenting style in which parents set-up high demands but low responsiveness. It is all about being strict and stern. Parents of Authoritarian style are usually cold and unsympathetic to their children’s emotional needs. They also usually giving less feedback insists on unquestioning obedience. Children are always enforced to do good behavior by giving shaming, threats, and other kinds of punishments. However, almost same with authoritative styles, parents with an authoritarian style have very high expectations of their children. It is not a good signal for children’s health outcomes, especially if they are grown up in a stressful environment. Responsiveness and warmth can protect kids from the effects of toxic stress, studies suggests. 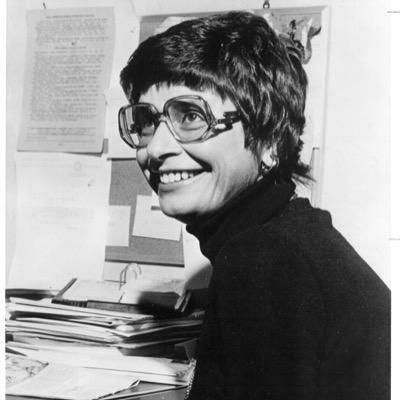 Diana Baumrind, a developmental psychologist, in 1960’s formulated three different types of parenting styles: Authorian parenting, Authoritative parenting, and Permissive parenting. Diana formulated these types of parenting based in her research with children on preschool-age. Authoritarian parents have high expectations of their children and they set very strict rules that the children should obey them all unconditionally. This parenting style encouraged the parents to utilize punishment rather than discipline. However, the parents are usually not willing or able to explain the reasoning behind their rules. 1. Authoritarian parents tend to be very demanding. Authoritarian parents set a number of rules and very high standards. They even also manage almost every aspect of their children’s life and behavior. Besides, they also expect their children to always follow the rules they have made without any mistake. Otherwise, they will do consequences like punishment, shaming, etc. Some rules are never explained to the children. They are only supposed to know and follow the rules. Authoritarian parents tend to be cold, aloof, and harsh. Rather than encourage and praise the children, authoritarian parents prefer to nag or yell at their children. Some experts may call this type of parenting as “tough love” to justify their unresponsiveness. They take-over the control of every children’s life aspects such as the way to talk, the way they act, what they should wear, what activities they allowed to do, etc. They almost do not give any choices and do not think that the children also has their own right to make their own decisions or choice. Authoritarian parents also discourage children autonomous thinking and not encourage to act independently. They only allow one-way communication. Children do not get a vote when they making rules or decisions. Authoritarian parents do not involve their children in making decisions. This type of parents like to use control of fear to their children. Parents can make harsh punishment if the children do not obey the rules. They can be highly critical and use a shame to force their children to obey the rules. Parents also believe that shaming will motivate the children to do things better, rather than building their children’s self esteem. Children has bad self-control. This is happen because they are rarely able to make their own choices and experience natural consequences. Children that are raised up by authoritarian parents are less resourceful, less socially-adept, and more likely to experience bullying. Lots of rules but little parental responsiveness characterizes authoritarian parenting style. Authoritarian parenting might be effective in certain situation. However, it can have negative, serious consequences to the children if overused. We recommend to consider looking for ways that can begin incorporating a more authoritative style into your daily interactions with your children.